Planning an intimate meal, a decadent soiree or just a fun weekend gathering? Look beyond the traditional restaurant cluster and its antiquated dining rules — private dining is throwing a sizeable fork into Singapore’s food scene, offering guests a novelty, exclusivity and customisation that most traditional restaurants can’t. Whichever way you cut it, the concept is spreading religiously, and in turn, raising a pedigree of private chefs who are exercising more creative muscle under this newly-fangled ethos. We shortlisted some of Singapore’s finest food purveyors that do not belong to the Michelin rank, but possess, dare we say it, all the makings of one. A former structural engineer and architect, it’s no surprise that Atipico’s founder and chef, Matteo Pertoldi, creates visually stunning concoctions on a plate. His eye for design, coupled with his Italian and French roots, lend Atipico (meaning ‘atypical’ in Italian) its manicured, European-centric fare. Having started out as a recreational supper club to meet fellow gourmands, Pertoldi soon amassed a following large enough to spin his culinary dream into reality. Now, the business services an array of both private and corporate clients, with a notable clientele that includes Panerai and the Swedish ambassador to Singapore. If you’re looking for a larger-than-life epicurean experience, The Gluttonous Temptress will not disappoint. Founder, chef, party conspirator, food consultant and self-professed glutton, Candice Leong seduces with her liberal use of extravagant ingredients and premium produce. There is nothing humble about the level of food served here – her Eat The Seasons, Piedmontese White Truffle and Sea Urchin dinners are designed to overflow with opulence, and not surprisingly, are well-loved by her regulars. These themed affairs sometimes even see Leong herself traipsing halfway across the world to source for her beloved ingredients. Jeremy Nguee and his team at Preparazzi Gourmet have been playing culinary wizards since 2011, offering a 100 per cent bespoke menu that showcases accents of contemporary Southeast Asian and European cuisine. A majority of its clients are large corporate bodies, high net-worth individuals and celebrities, and while Nguee remains tight-lipped about their identities, he reveals that the team often needs to go the whole nine yards — working in tandem with event organisers and occasionally, other chefs, to curate a complete experience for their guests. Long-time food writer, Annette Tan, has dedicated many years to waxing lyrical about food. So, it is almost inevitable that food is at her forefront again. This time, in a more tangible way with her private dining outfit, Fat Fuku. A celebration of her own Peranakan roots, expect a homey, down-to-earth rehash of classic nonya dishes done right. Some standouts include crispy Mee Aiam and Wagyu Beef Cheek Rendang. This small-scale operation takes place at Tan’s abode in the Upper East Coast, where she serves a feast of about seven dishes, family-style, to no more than nine guests at a time. The Mustard Seed Pop Up is helmed by Gan Ming Kiat, a Singaporean-bred chef who first cut his teeth working at a Japanese Kaiseki restaurant. Gan has since gone on to develop a more local palate (one of his popular dishes is Turmeric Frog Legs with Laksa Leaf Salt), but still retains his Japanese sensibilities when it comes to technique and style. Showcasing up to nine dishes per seating, the sessions take place at his home in Potong Pasir every Friday and Saturday. Mother, cultural medallion winner, SSO violinist and now, private home cook, Lynette Seah has enough accolades to last her two lifetimes. The matriarch behind Lynette’s Kitchen, Seah serves either a Peranakan or Western menu, and even has a separate dessert range and wine pairing option available for guests. She orchestrates these lively meals in her cosy abode in Tiong Bahru, but is also available to cook at external premises if requested for. If you’re really lucky, you might even get to witness a little musical performance from the chef herself. A former fashion and beauty editor, Angeline Neo used to spend her spare time cooking for and entertaining friends in her home. 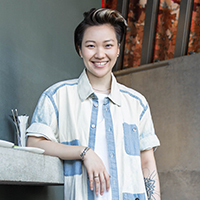 She founded her culinary alter ego, The Modern Bibik, in 2015 to pay tribute to her Peranakan heritage and her family of food artisans. Offering traditional Peranakan dishes that have been given a modern whip, her Upper Bukit Timah apartment now serves as the main stage for her sumptuous, sharing-style spreads. Make sure you try her signature Dry Laksa and Bibik Bouillabaisse that have garnered much attention. 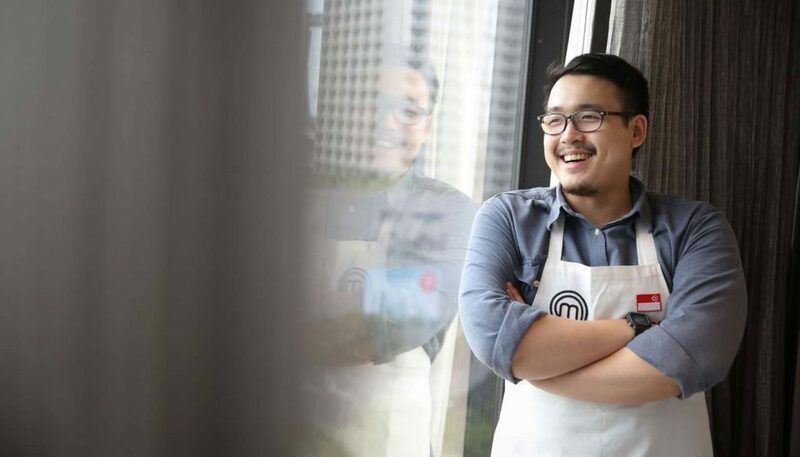 Woo Wai Leong’s name has been buzzing in the culinary circuit ever since he won the title of MasterChef Asia three years ago. The ex-lawyer and occasional bartender has since transitioned to a full-time career in the kitchen. Asides from helming Restaurant Ibid (his flagship restaurant which opened its doors in May 2018), Woo also runs a series of private dinners for those in the know, offering a Nanyang-inspired, contemporary Chinese menu executed with modern techniques. There is no fanciful name or even a website to denote Tan Huang Ming’s private dining arm. Instead, Tan banks on the age-old currency of word-of-mouth publicity to do the work. He probably doesn’t need much of an introduction anyway — the self-taught chef is already known for his work at Mediterranean small-plates restaurant, Lolla, and casual sandwich diner, Park Bench Deli. Menus are highly customizable, let Tan know your preferences and dietary requirements, and he’ll be sure to whip up a feast. If you’d like a broader pool of chefs to choose from to cater for your party, these private companies may be better suited for you: My Private Chef, Clubvivre, and Personal Chef Singapore. Intending to hire a chef while you’re travelling? Take A Chef does just that.